It can only be described as a magnum opus of data and design. 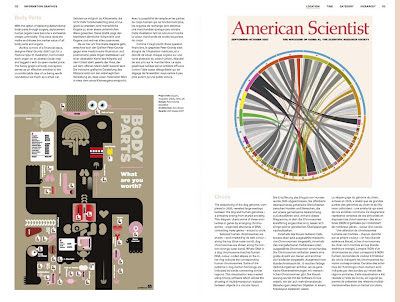 The new Taschen book by Sandra Rendgen and Julius Wiedemann, Information Graphics is an exceptional addition to the growing selection of data visualization collections. 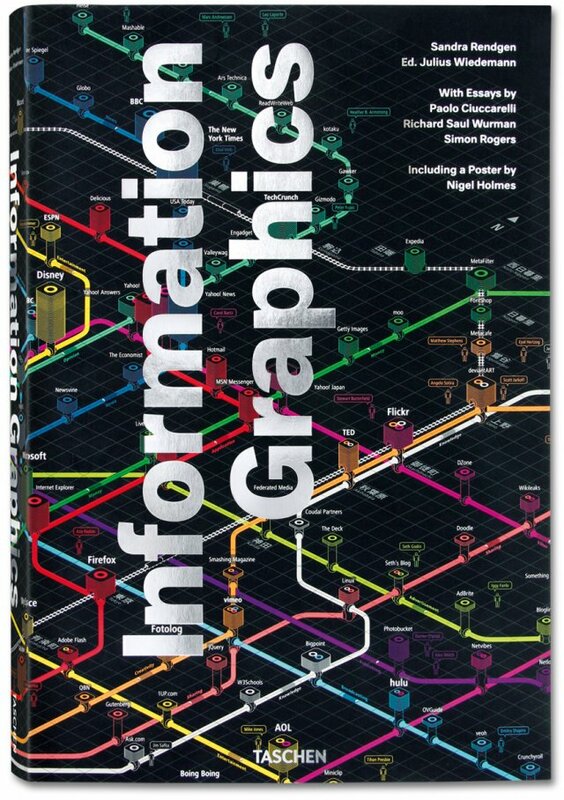 What sets Rendgen and Wiememann's Information Graphics apart is not just its volume of catalogued entries, it is mores the perceptive and insightful narrative that accompanies the finely tuned curation. 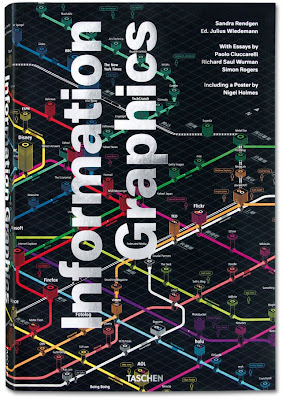 It is essentially a personally guided tour of some of the most cleaver, creative, and effective infographics spanning decades of information overload. The authors set the stage for the book with several essays looking back at how we humans have represented ideas and information since the dawn of human history, from cave paintings and Egyptian hieroglyphs to the Industrial revolution and protest posters. But once through the essays, the march of dynamic graphs, charts, artwork, and data, Data, DATA doesn't stop for another 400+ pages. Many images could be exhibits at any modern art galary, others could inspire whole books of their own. One thing for sure, anyone with a love for data and/or design won't be able to put this book down for a long time. Make sure to check out our Field Guide to Information Design.